Use this unit as an end of the year activity. 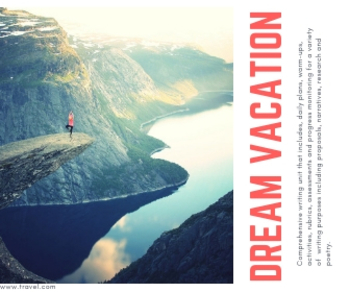 Students will work through 3 types of writing centered around a vacation they hope to take. 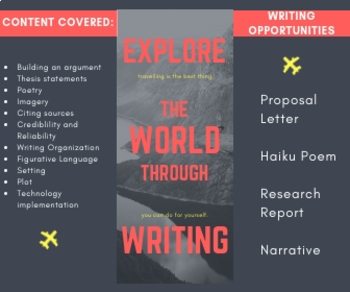 Students will create a proposal letter, haiku, narrative, and short research piece. All of these are ultimately compiled into a "scrapbook" of their perfect vacation.